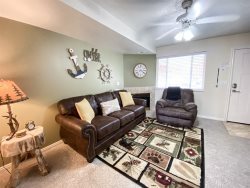 One bedroom condo in Harbor Village. 600 square feet on second floor. Note: This unit has Wi-Fi available for a fee.